Most sturnids are secondary cavity nesters, often somewhat reliant on woodpeckers and barbets for their nest sites. They compensate for an inability to make their own nest cavities with an aggressiveness that often allows them to appropriate newly excavated ones. Other sturnids such as Tristram's red-winged starling (Onychognathus tristramii) make use of niches among rocks, and many have expanded their nest-site preferences to include nest boxes and recesses associated with buildings and other man-made structures. billed oxpeckers (Buphagus erythrorhynchus) add the dung of ungulates to their nests. Several species add flowers or green leaves to the nest, and it has been suggested that they may select plants laden with chemicals having insecticidal properties. 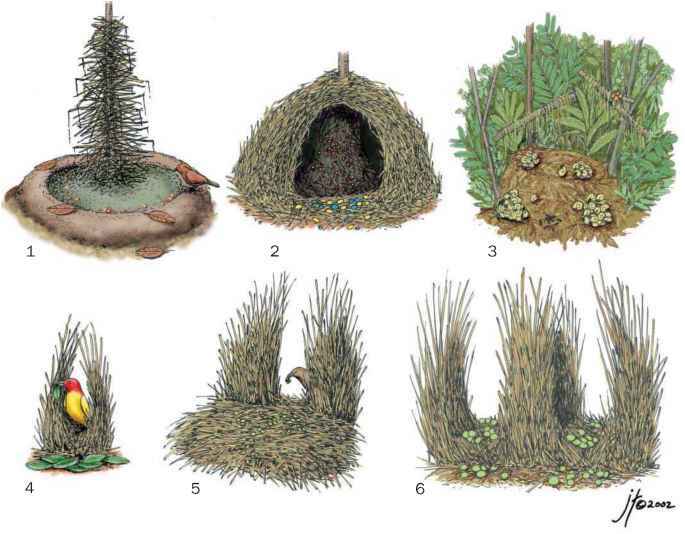 Both sexes are usually involved in nest construction, and nests may be refurbished and cavities used again and again. Starling eggs are often pale blue, but sometimes white to cream-colored. They may be solid in color (Acridotheres, Leu-copsar, Gracupica, Sturnia, Temenuchus, Pastor, Creatophora, Sturnus) or have dark spots on them (most species in other genera). The occurrence of colored eggs and eggs with spots has been evidence that sturnid ancestors were open-nesting birds and that cavity nesting is a relatively recent secondary development. nest who feed the young as well. 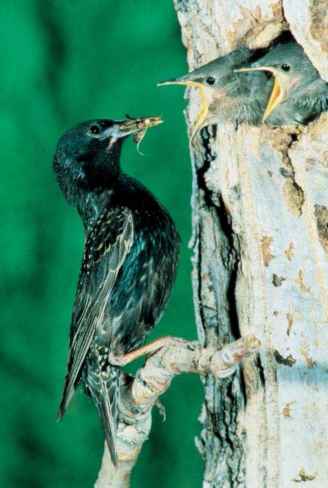 In such cooperative breeding, the helpers are usually offspring of the same pair from earlier efforts. Nestlings often fledge within three weeks, but young oxpeckers may remain in the nest for nearly a month. Many species can produce two, sometimes three, broods in a year.